In honor of the swiftly approaching Veterans Day, Visit Baton Rouge would like to sincerely thank all of the veterans and active duty military in the Capital City! 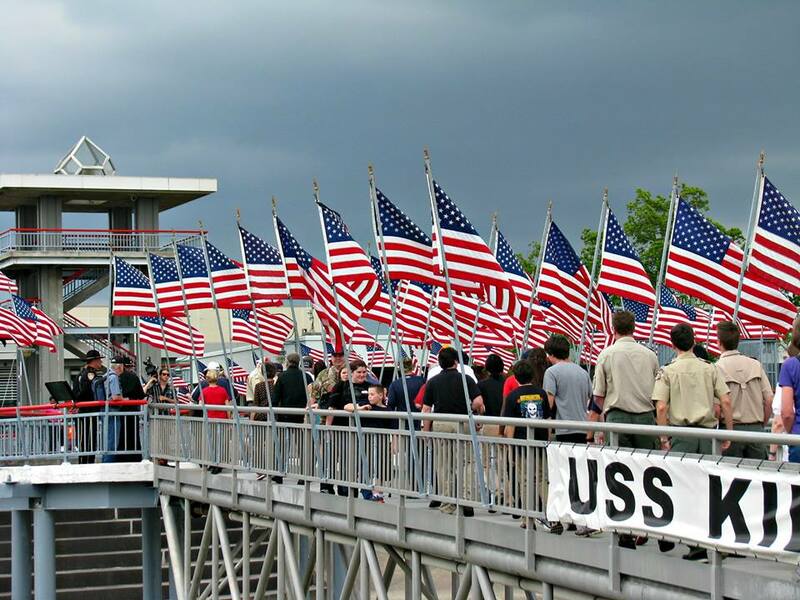 We have compiled a few events honoring veterans in the Baton Rouge area to help you celebrate the day. 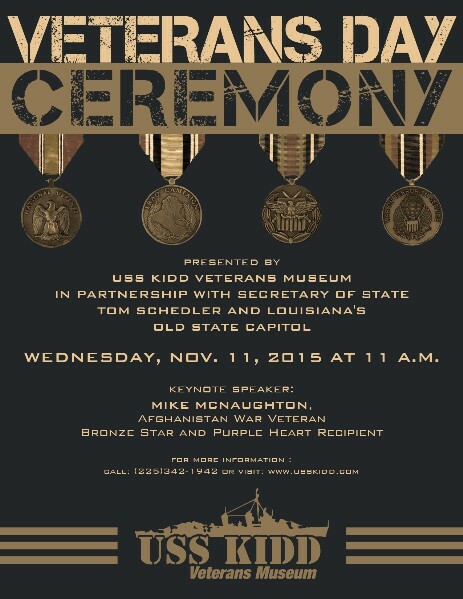 The USS KIDD Veterans Museum is partnering with Secretary of State and Louisiana&apos;s Old State Capitol for its annual Veterans Day Ceremony. All veterans and community members are invited to celebrate and honor the brave men and women who have fought for our nation. Veterans are encouraged to wear something that represents their military branch, and all guests are encouraged to wear something patriotic in support of our country&apos;s greatest heroes. Additionally, the USS KIDD Veterans Museum will be free to the public on Veterans Day. Veterans can also tour the ship for free. Regular admission for ship tours apply for all other guests. For more information, visit the USS KIDD website or Facebook page. 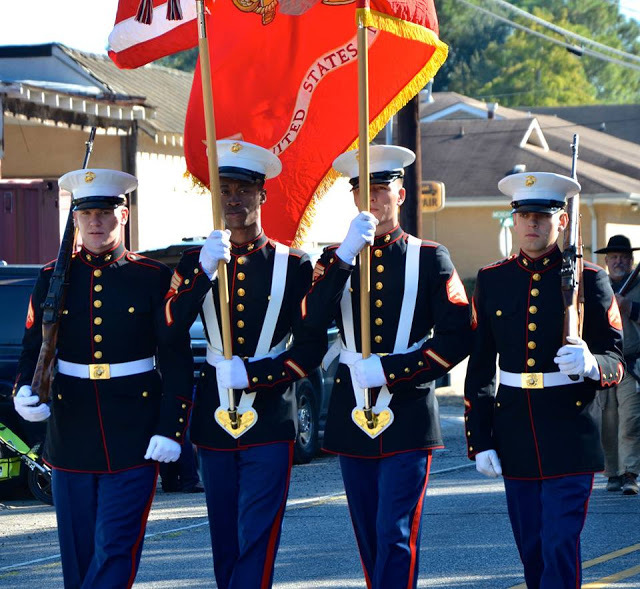 Head to West Baton Rouge to celebrate the 11th Annual Veterans on Parade! The parade will roll on Sunday, November 8th at 1:30pm in downtown Port Allen. 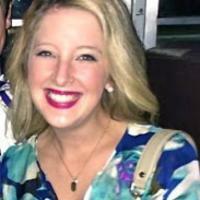 A special ceremony will directly follow the parade at the West Baton Rouge Courthouse. 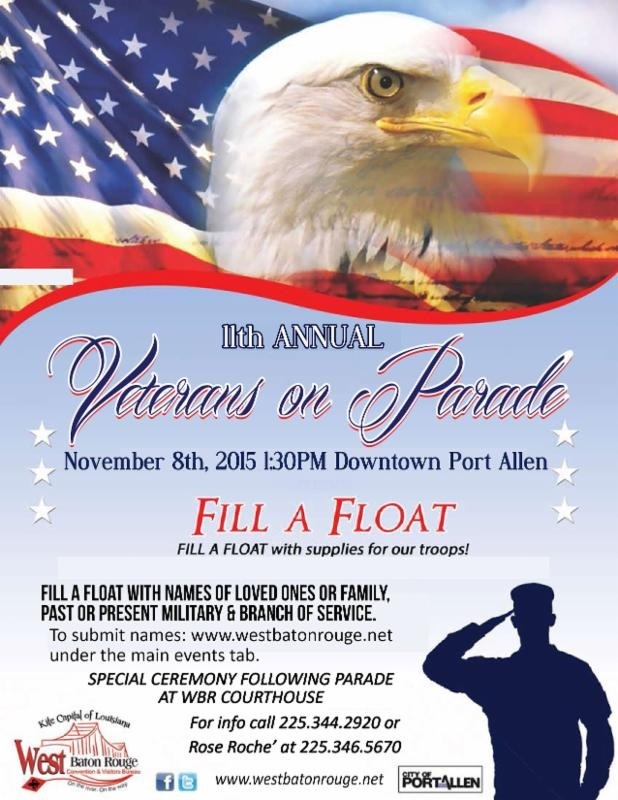 We urge you to come fill a float with names of friends and family members who have served or are serving currently. Additionally, the Blue Star Mothers of Louisiana Chapter 1 will be collecting supplies for care packages that they send to troops throughout the year. For more information on supplies, needed visit their website. L&apos;Auberge Casino & Hotel Baton Rouge will honor veterans and active duty military on Wednesday, November 11 in honor of Veterans Day. All can receive a complimentary breakfast or lunch buffet at their Bon Temps Buffet. Must present valid government issued identification and be 21 years of age.